IMP Customer Care, a bilingual outsourced contact center with roots in Bathurst, is transitioning to the Blue Ocean Contact Centers Brand. The brand name change is part of a strategic initiative by IMP Group to grow all of their customer service operations through the strength of the Blue Ocean brand while leveraging the experience and attributes of the Bathurst Customer Care team to support that growth. Blue Ocean has a track record of growth and the Bathurst operations are central to our continued growth plans for the future. IMP Customer Care, a bilingual outsourced contact center with roots in Bathurst, is transitioning to the Blue Ocean Contact Centers brand. The brand name change is part of a strategic initiative by IMP Group to grow all of their customer service operations through the strength of the internationally-recognized, award-winning Blue Ocean brand, acquired in 2015, while leveraging the experience and attributes of the Bathurst Customer Care team to support that growth. As has been the case for more than 15 years, the IMP Group, through Blue Ocean, is committed to the Bathurst community and looks forward to celebrating growth and success for many years to come. The transition will be seamless as the leadership and customer care team will remain in place under the Blue Ocean brand. Existing IMP Customer Care clients will continue to receive exceptional service they have come to expect from the Bathurst team, but with greater resources and an expanded infrastructure to serve their customers. "Blue Ocean has a track record of growth and the Bathurst operations are central to our continued growth plans for the future. Adding their capabilities to Blue Ocean's will help us add to the roster of high profile brands we represent," says Andrew O'Brien, President and COO of Blue Ocean. Bathurst job seekers looking to submit applications to Blue Ocean Contact Centers can drop off a résumé at the Bathurst office. For more information about the name change or the Blue Ocean brand, please contact Amy Bennet Roach, Director of Communications at 902.722.3312 or abennet(at)blueocean(dot)ca. To view this in French, please click here. 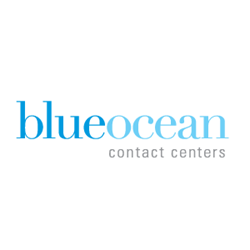 Blue Ocean Contact Centers, headquartered in Halifax, Nova Scotia, is an award winning provider of innovative call center outsourcing services. We are creators of practical solutions to real problems that enhance the relationships our clients have with their customers. Blue Ocean Contact Centers provides the opportunity to strengthen and enhance these customer relationships and build lifetime loyalty leading to increased profitability.